www.sportseventsmagazine.com February 2016 59 With events and venues for nearly every sport, the Pensacola Bay Area has a very active sports scene. Join in and be moved. While you're here, experience all the Pensacola Bay Area has to offer. Play on USA TODAY 's "Best Florida Beach" Discover arts & culture on one of the "10 Great Streets in America" Explore one of Trip Advisor's "Top 25 Museums in the U.S." Learn about Pensacola's signature sporting events including the Pensacola Double Bridge Run, marathons, triathlons, fishing tournaments and more, at PensacolaSports.org. 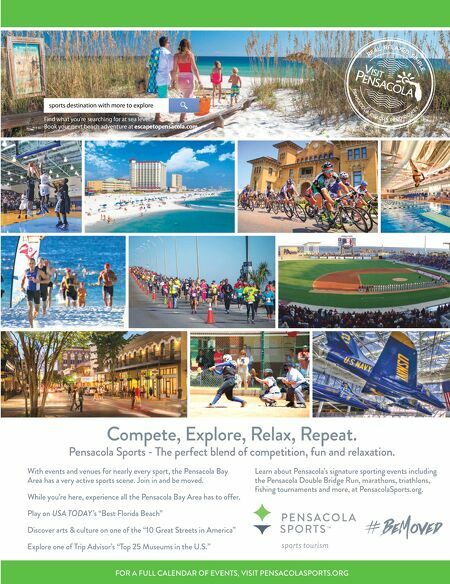 FOR A FULL CALENDAR OF EVENTS, VISIT PENSACOLASPORTS.ORG Find what you're searching for at sea level. Book your next beach adventure at escapetopensacola.com. sports destination with more to explore Compete, Explore, Relax, Repeat. 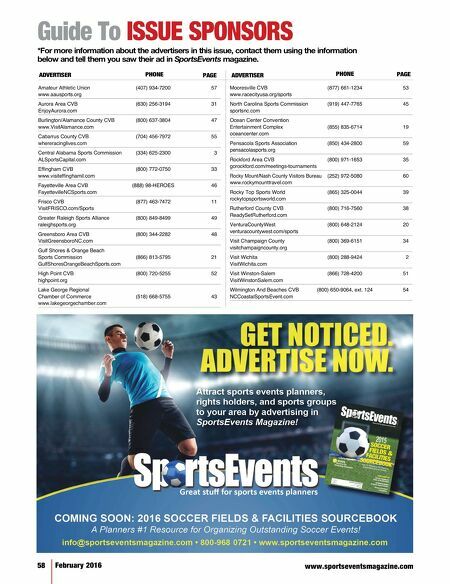 Pensacola Sports - The perfect blend of competition, fun and relaxation.